Hi there! Since manga reading sites are prolific nowadays, I figure most of you probably read manga on well known sites such as Mangafox, Mangahere, Batoto… etc. The thing is, lately Korean webtoons such as Tower of God and Noblesse have been on the rise, and in my opinion, if you don’t read a webtoon in the original format it was intended in (infinite scroll), you can really miss out on a lot. Well, in Korea they actually have a whole system worked out on the largest Korean “portal” sites such as Naver and Daum (yes, not everybody uses Google!) where they have a “webtoon” or comics portal and professional webtoon artists can post their artwork up for readers to enjoy. I am not 100% sure how their revenue system works – I believe the artists do get some sort of regular stipend, and what I do know is that they can make additional revenue depending on how popular their work is, either with ads or some sort of Korean virtual coin system. This is why it is very important to support the artist by going to the original site when you can! (See the overlay method below.) When I have more time I hope to make a more in-depth, detailed post on the Webtoon Portal system, since it’s a very interesting system and IMO the start of a slow-moving trend towards officially digitizing the comic book medium, which will surely play a huge role in the future. So, without further ado, let’s get to the actual mediums currently available for us to read on! Line Webtoon is indisputably the #1 place I would go to when checking for places to read a specific webtoon. This is a direct subsidiary of Naver launched in July 2014 with web access and Android/iOS support in the form of apps. Why? Well, this is an official platform from Naver, which means that anytime you read directly from it, comment, favorite, or interact, you are directly supporting the creator, at the very least in the form of page views. Additionally, you have the benefit of reading the official English translations (though some fans complain about translation quality) and seeing the content in exactly the form it was meant to be presented in, without complications that can arise from incorrect page sizes, low quality screenshot images… etc. 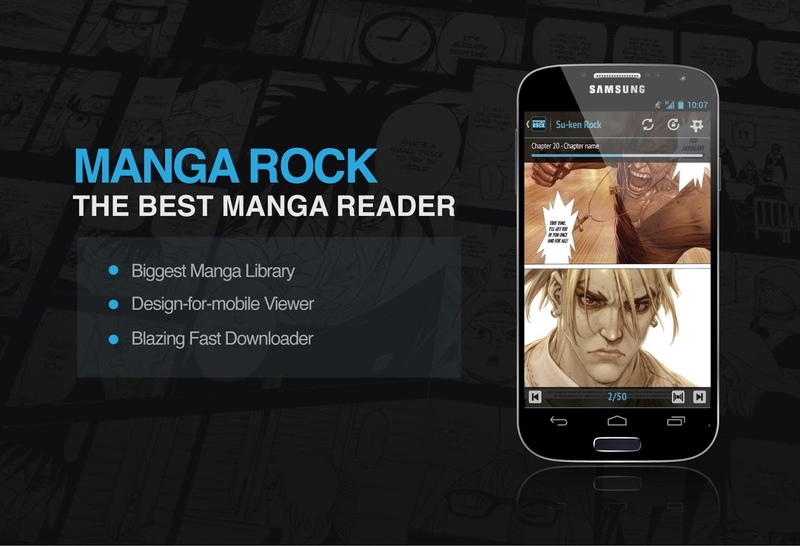 If the webtoon is available on Line, IMO you don’t have much of an excuse not to be reading it on there. Tapastic is a new startup based in California that’s trying to do basically the same thing – promote open webtoon/comic creation with ad revenue for the artists. They were not that big to begin with, but in early 2014 they closed a deal with Daum for $2 million in Series A funding and in late 2014 they merged with Webtoon Live, and nowadays they do feature quite a few of the Daum series in translation on their website. This is also an official platform which means you will be properly supporting the webtoon creators, and, of course, all translations are official and the medium is going to be exactly the way it was intended to be seen. They do provide both web and mobile support. There are quite a few scanlation groups that provide native overlays of their translations through a browser plugin. It takes a few steps to install, I think primarily through a plugin called “OSS Naver Plugin.” Some groups that I know of which employ this method include Odd Squad Scanlations and Babo Kim Scans. 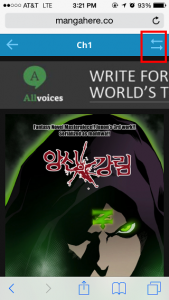 I am not certain of other groups, but if there is a webtoon you can’t find on Line or Tapastic, I would first check the scanlation group’s website to see if they do provide overlays, since they are very easy to use and are a great way to support the author directly through the original Korean site! Let’s say you can’t find English translations anywhere except on manga hosting sites. If you’re still reading on a desktop computer or a laptop in your browser, my suggestion is KissManga. Their dropdown option for viewing allows you to select the “All Pages” option, which will render the webtoon in its original scroll form with minimal disturbances, although sometimes there are some weird page sizing issues. There are plenty of apps out there for your smartphone, tablet, what-have-you. Manga Storm and Manga Rock are just a couple examples. The majority of these apps have the ability to adjust scroll/swiping options, and for smartphones, all you have to do is set the swiping to up-and-down and you’re set for your webtoon. Almost all these apps have the additional capability of resizing the image width to the width of the smartphone screen, which means a majority of the time the scroll will feel relatively seamless. Beware of where the app is pulling the data from, however, as some sites mark the bottom of each page with some sort of watermark or disclaimer (MangaFox has a disclaimer, for example) which can be disruptive to the scrolling. Depending on how the images were cut and uploaded, there may also be some overlap. I can’t seem to figure out a way to get Mangahere to scroll on their regular website, but their mobile site has an option that lets you convert between page-based view and infinite scroll. Mangafox actually has an almost identical feature, but I recommend Mangahere over Mangafox as they don’t have that annoying watermark at the bottom of the page.